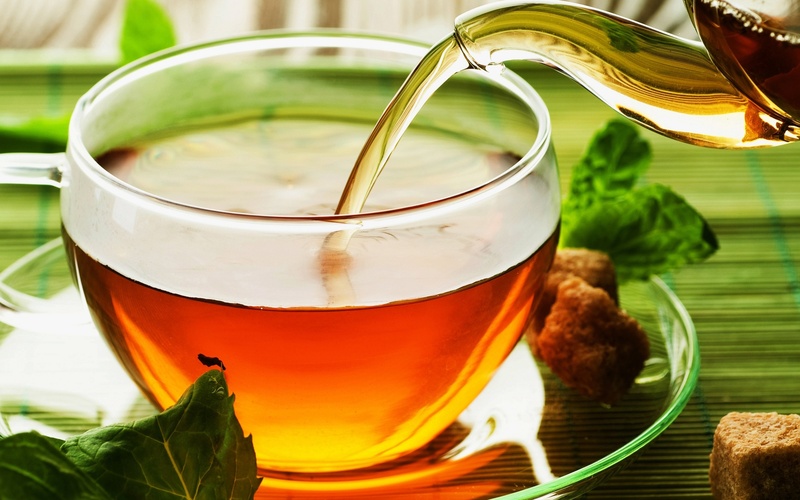 Green tea is the most popular type of tea. It has a clean, delicious taste that makes it the beverage of choice in Asia. To produce green tea, the fresh tea leaves are carefully placed on large bamboo trays and allowed to dry in the sunlight. The leaves are then placed into small hot roasting pans and quickly moved about. They are continuously rolled into balls and then re-roasted for several hours at a time. This process stops the chemical changes from occurring in the leaf by never allowing it to ferment.